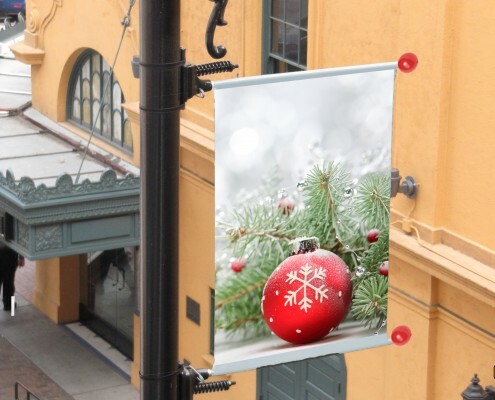 As cold weather festivities approach, smart businesses get into the holiday spirit by using decorative banner brackets, pole banners, and ball finials to add some holiday flair. 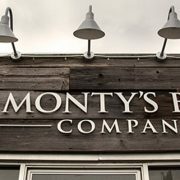 A simple way to begin decorating for the holiday season, banner brackets and other decorative sign accessories increase visibility, attract customers, and make shopping experiences more enjoyable. Learn more about the uses of these accessories as the holidays approach. Hang large banners letting passersby know that your business is ready for the holiday. Using the CitySite Single Span Banner Bracket, you can proudly display a large banner sign outside your storefront. This simple banner bracket set includes everything you need to hang a banner (up to 12 feet in length) along the exterior of any building. While the single span banner bracket is suitable for outdoor use, it should be advised that it is not recommended for areas that may achieve wind speeds higher than 10 miles per hour. 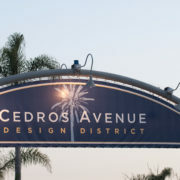 A favorite of sign companies and contractors, the City Site Banner Bracket Set comes with everything you need. If you are trying to find a way to hang pole banners, then take a look at the CitySite Dual Span Bracket System. These outdoor banner brackets are designed for outdoor use with pole banners and can easily attach to a pole near the sidewalk where it will surely grab people’s attention. 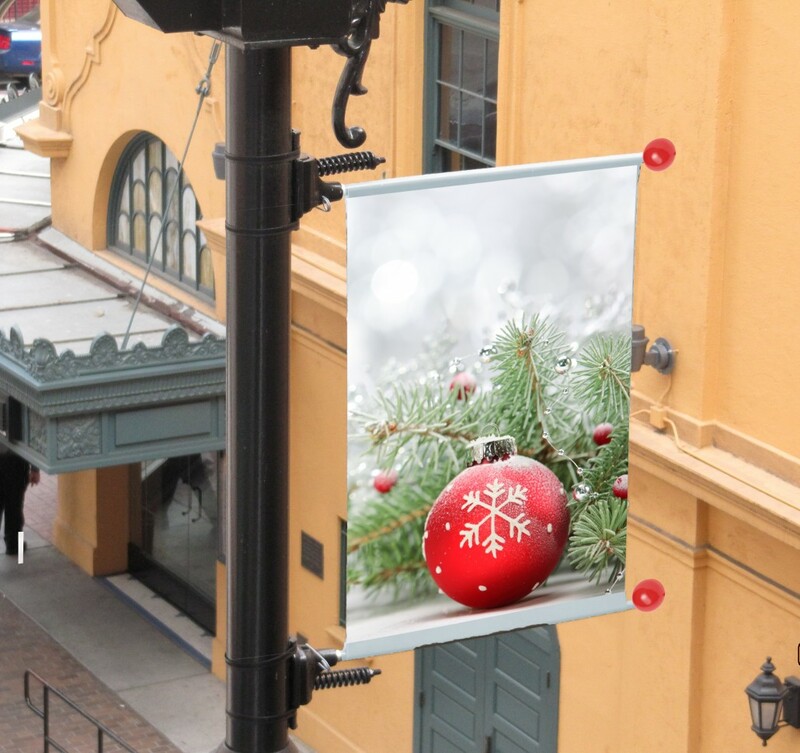 Once securely installed along an exterior pole, your holiday pole banners can remain on display all season long. 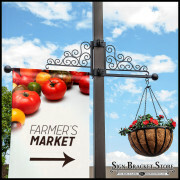 With indoor banner brackets, you can display your signage around the inside of your store or commercial building. 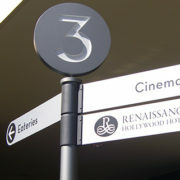 Hang signs announcing specials and sales using the CitySite Interior Wall Mount Banner Brackets. 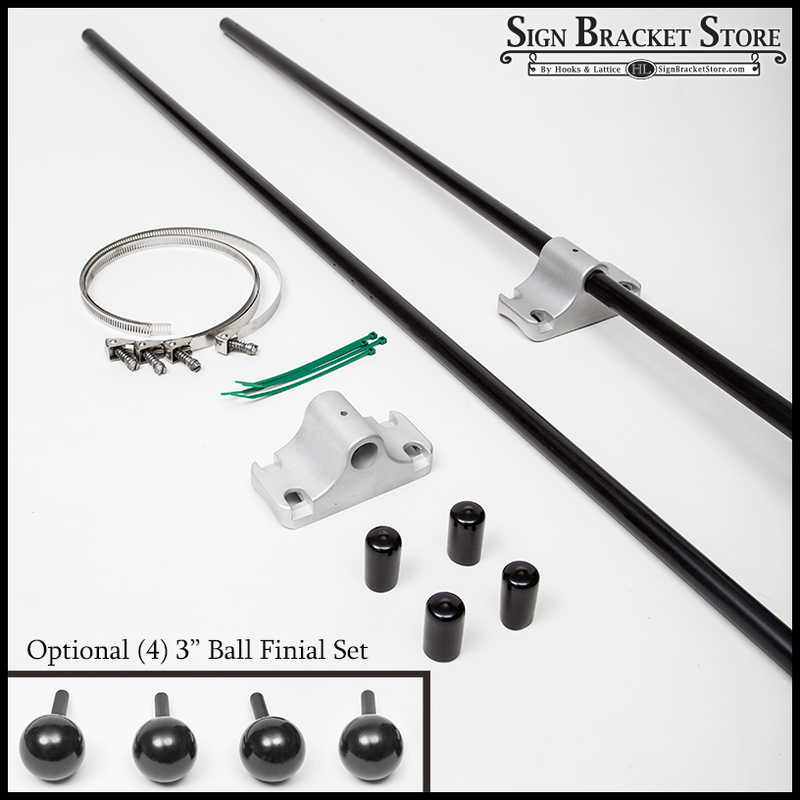 As with our other banner brackets, this set includes everything that you will require to mount your bracket system along a wall. For larger signs, the previously mentioned Single Span Banner Bracket will work indoors as well. Lift up the spirits of your customers with noticeable holiday decor. Add holiday-colored ball finials to the end of your banner brackets to bring more joy to the streets. Each of the banner bracket systems discussed include ball finials to match the brackets, but with addition of decorative ball finials, you can add holiday color to any of your signs. 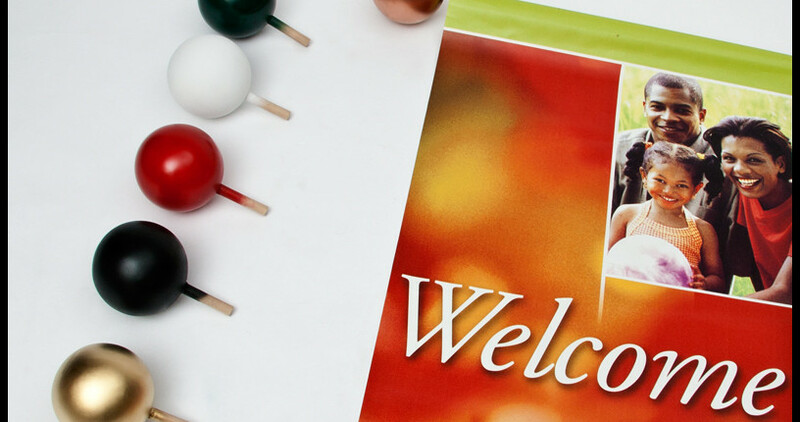 Available in 6 different holiday colors, these Banner Ball Finials can be attached to any of the bracket systems mentioned, allowing you to change the appearance of your banners seasonally without having to purchase again and again. 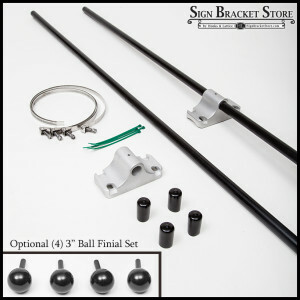 Decorating for the holidays is easy, with banner brackets, ball finials, and pole banners. Create a festive atmosphere inside and outside of your office space or store, by using a combination of banner bracket systems and decorative ball finials. Use commercial signage to promote specials or events and put smiles on the faces of your employees and customers. The holidays are approaching and the busy shopping season will soon begin. From banner brackets to ball finials, a few simple changes to the decor of your business can go a long way to adding some holiday cheer. 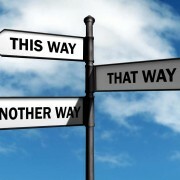 Start preparing for the holidays by browsing our assorted decorative banner brackets, pole banners, and ball finials. For inquiries about custom orders, please contact us today.